Sweatshirts and jackets with cacti are a must have! Bring on the fall bonfires, trail rides, apple picking, and scary movies. Stay warm this season with cozy cactus apparel from the Ali Dee Collection. Pick up a couple for yourself, or give them out as gifts. 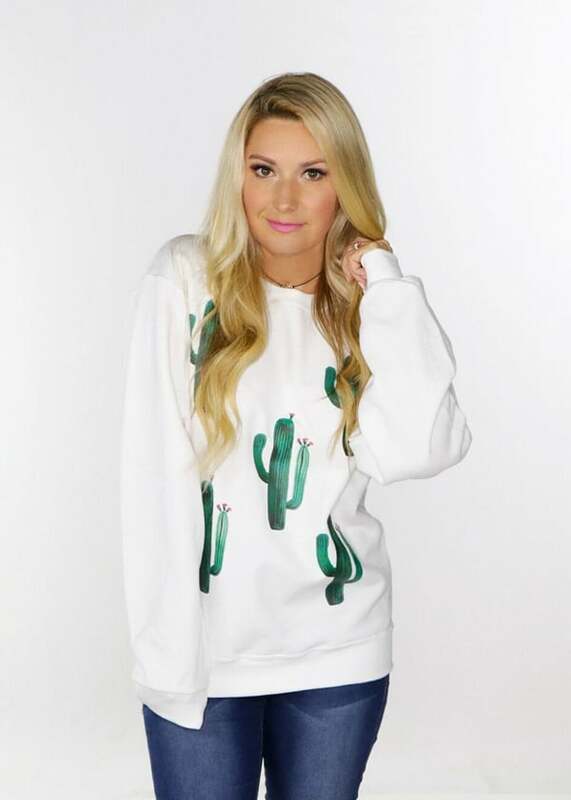 Saguaro Cactus Sweatshirt, $36; alideecollection.com. Can’t Touch This Jacket, $42; alideecollection.com. 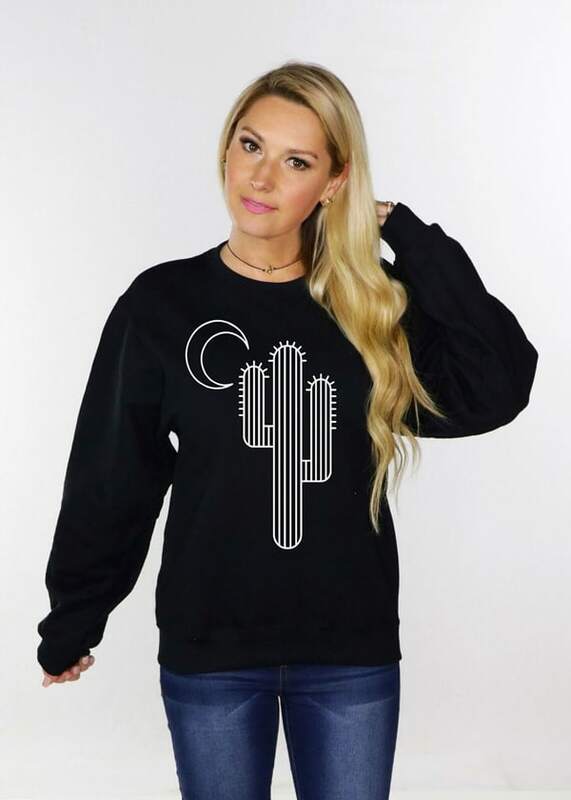 Moonlit Cactus Sweatshirt (also available in maroon), $36, alideecollection.com. Head on over to Ali Dee’s website to find some more great western and cactus apparel. There are lots of great options. Want even more fall clothing inspiration? Check out these gorgeous denim shirts…but don’t forget to pair them with some brand new boots!